Where is the political science office and when is it open? What are the political science major requirements? If I want to go to law school, is a political science major a good choice? If I can't remember who my advisor is or if I want to change my advisor, how can I? Why is there a registration hold on my account? Why am I unable to register for a political science course through My Charleston? How do I get an override into a full political science course? If I am dropped from a political science class for non-payment, will the political science department put me back in the class? Do I have to take POLI 101,103/104,150 and 205 before taking other courses? What do I have to do if I want to take a course at another institution? What do I have to do if I want to take a course while I study abroad? Can political science courses count toward the humanities credit? How do I get in touch with the Charleston School of Law? We occupy two buildings on campus: 114 Wentworth Street, where you will find our main office, our Department Chair and Associate Chair, some faculty offices and the faculty mailboxes; the second building is 26 Coming Street, just around the corner. 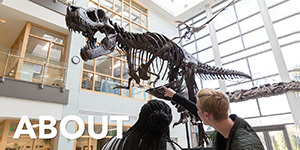 It houses some of our faculty and adjuncts. The main office is open from 8 am - 4 pm, Monday-Friday. For specific faculty office locations and hours, please visit our faculty webpages. 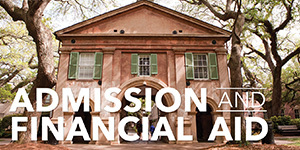 To declare a major or minor in political science, log onto My Charleston and access the declaration application through the Academic Services tab. You will receive an email from the Department of Political Science following the submission with additional instructions. 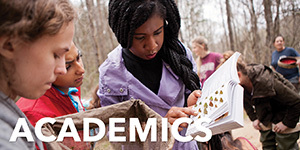 Majoring in political science can qualify you for many different careers in the private and public sector including careers in business, law, consulting, state, local, and federal government, journalism, communications, international organizations, finance, political campaigns, interest groups, community service and non-government organizations (NGO's) and pre-college and college teaching. Some job titles include: Program Coordinator, Lobbyist, Resource Coordinator, State Representative, Law Clerk, Government Relations Specialist, Investor Relations Manager, Executive Director of a nonprofit, Staff Assistant to a Senator, Juvenile Probation Officer, Budget Analyst, Hospital Administrator, Professor, Volunteer Coordinator, Political Consultant, City Planner, Highway Patrol Officer, Foreign Service Officer etc. 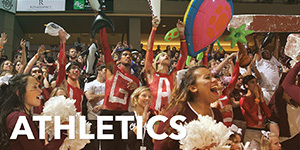 Please visit our career resources page and CofC's Career Center for more information. The major in political science is designed to have a beginning that provides a foundation (the Core: POLI 101, 103 or 104, 150 and 205), a middle that provides both breadth and depth of study (the subfields and electives), and an end that provides an integrative experience (the senior capstone seminar, POLI 405). A minimum of 36 semester hours are required for a major in political science. Students should begin with the core and plan to complete the 12 hours in the core within the first 15 hours of political science coursework. All coursework must include a minimum of one class (three credit hours) in each of the three subfields: American Politics and Process, Global Politics and Spaces, and the Politics of Ideas. The twelve credit hours of electives allow students to explore new topics or concentrate their study within a particular area. Finally, the senior capstone (taken within the final 9 hours of the major) is intended to provide a culminating experience. All majors must complete a minimum of 15 credit hours at the 300 level or above. For additional details, visit Catalog and Course Information for majors and minors. If I want to go to law school, is a degree in political science a good choice? The political science major offers coursework that will assist in the development of the skill set needed to succeed in law school and provides course offerings that might be of interest to someone on this path. Many graduates of the political science program have gone on to law school having learned how to read critically, think analytically and write skillfully. In addition, you can declare a concentration in Politics, Philosophy and Law (PPLW) that allows you to focus attention on theoretical issues related to the law. All students who are considering law school should speak to their academic advisor and consult the College's pre-law advisor, Dr. Richard Nunan, in the Department of Philosophy. Please review Dr. Nunan's website for further information. Your advisor information can be found in Degree Works when you run your degree audit. Contact the department at 843-953-5724 if you would like to switch advisors. To ensure that political science majors meet with their advisors prior to registering for the upcoming semester, registration holds are put in place. Advising meetings provide students with a valuable opportunity to discuss their progress in the major as well as study abroad opportunities, graduate and law school options, internship interests and career plans. Twice a year faculty set aside two weeks to advise students prior to pre-registration, however you may make an appointment to speak with your advisor any time you have questions. Several political science courses require the permission of the instructor, chair or require prerequisites that would prevent you from registering for a course. Here are some of the courses that have these types of restrictions: POLI 119 (ST: Advanced Mock Trial), POLI 266, POLI 400, POLI 401, POLI 402, POLI 405, and POLI 499. 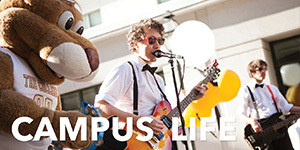 Refer to the Handbook for Majors for more information. How do I get an override into a political science course that's full? The political science department does not offer overrides into full political science classes because of classroom space constraints. Students trying to get into a class are encouraged to watch enrollments during the Drop/Add period to secure a seat in a class or to choose an alternate political science course that has availability. If you are dropped duirng the drop/add period, you will need to register via My Charleston again as soon as possible if space is still available in the class. Re-registering will trigger a new bill which you should pay immediately. If you are dropped after the drop/add period, you will need to get proof of payment from the Bursar's Office and then bring it to the department. The Chair or Associate Chair will be able to add you back into the class. Please Note: For classes that require enrollment through the department (POLI 119: Advanced Mock Trial, POLI 266, POLI 402 and POLI 405), you need to see Dr. Gibbs Knotts or Dr. Claire Curtis for approval. Do I have to take these required major courses POLI 101, 103/104, 150 and 205 before taking other political science courses? Political science faculty strongly encourage you to do so, although it is not absolutely required. For classes that do not have prerequisites you may elect to take other courses concurrently as you complete the required course series. First, review instructions found on the Forms page of the Registrar's Office under "Transfer Credit." Then, contact our Associate Chair, Dr. Claire Curtis, to schedule an appointment to obtain her approval signature. ﻿﻿﻿What do I have to do if I want to take a course while I study abroad? Before choosing a study abroad program, you will first need to contact the Center for International Education (CIE) so that they can assist you in the process. Once you have a program in mind and have obtained a description of each proposed course, you will be responsible for completing the necessary paperwork provided by CIE to bring to our Associate Chair, Dr. Claire Curtis, for consideration. Please contact Dr. Curtis to schedule an appointment. Can political science courses count toward humanities credit? Political science is a social science; therefore, political science courses cannot count toward humanities credit. 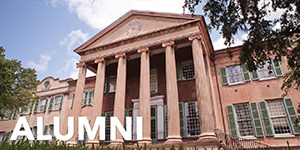 The Charleston School of Law is not affiliated with the political science program at the College of Charleston. To contact the Charleston School of Law please call 843-329-1000.